As we approach the end of the year, many of us will be invited to more than one festive business event and some of us will be tasked with organising one. 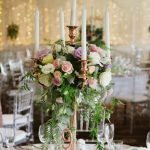 The team at Waterside Events Currumbin have come up with some tips on how to make the most of a festive business event as a guest, and how to make your event unique as an organiser/host. As a guest of a business event, you are in the prime position to expand your network and create more connections within your industry. The best way you can do this is to be calm yet confident and also be able to start conversations. There are a few etiquette guidelines that should be followed to ensure that your attendance at a business event is enjoyable, and informative. Before you attend the event, make sure you research and have some idea of who is attending so you can be prepared for potential conversations. It’s also a good idea to put your phone on silent; there’s nothing worse than having your phone ring whilst you’re in the middle of an important discussion with a prospective business client/partner. Don’t forget your manners, as a guest of a business event it’s crucial to make a good first impression so dress nicely and don’t eat or drink too much. Asking questions and being genuinely interested in what other people are saying can have a massively positive effect on the conversations you have. Introduce people to each other and invite them into your conversation, especially if you see someone who is standing alone. Not everyone feels confident in social situations, being inclusive and breaking the ice is a nice gesture but could also pay dividends if that person turns out to be a slightly socially awkward billionaire! Organising or hosting a business event is an intimidating task, you will have the all- important event space to book, a guest list to collate, RSVP’s to manage, catering and dietary requirements, decorations and music or entertainment to organise. In order to make it a little bit easier on yourself, you can hire professional help from an events planner. If you choose to plan a business event yourself, there are a few things to keep in mind. Determine the scope of your event by deciding what kind of impact you want to make. It’s important to set the tone of the event in the initial invitation. The design and method of sending your invitations should give people a clear guide to what kind of event to expect. If you have a lot of invitees, consider using a tool like Eventbrite as this will enable you to manage your guest list and RSVPs, and request dietary information. Sending this kind of invitation keeps things very professional. It also allows you to impart a lot of information on one platform. If the numbers are small and manageable there is something very classy about printed invitations, this sets up the event as exclusive and intimate. If you are going for a more relaxed atmosphere you could use a social networking event, like Facebook or messenger, however, this could exclude people who aren’t on that social network. Guest lists are key, if you invite the right people they might be the break your company needs. It’s important to circulate your guest lists amongst the directors, C-level executives and sales manager in advance, not only so they can add anyone that might be missed but also because they will want to familiarise themselves with people’s names and which companies they are from. Make your event inclusive, especially if you have a wide range of ages or a guest list that is culturally diverse consider this when thinking about menu and drinks packages. Work with the experts at your venue, they should put you at ease, once the details are confirmed and make sure that by the time your event begins, you can enjoy the party you’ve worked so hard on. If you’re looking for assistance in planning your next business event or would just like some more information, our team at Waterside Events Currumbin will be happy to help. Just give us a call on (07) 5534 0970 and have a look at our Corporate Functions Package.